If you won't quit smoking for your own health, what about little Mittens? That's the message of an anti-smoking campaign that says cat videos could go up in smoke if our feline friends succumb to cancer. The 30-second Internet ad, created by the Truth Initiative, hammers home the fact that cats living with smokers are twice as likely to get cancer; and if smoking kills cats, the adorable cat videos that dominate the Internet will also disappear. 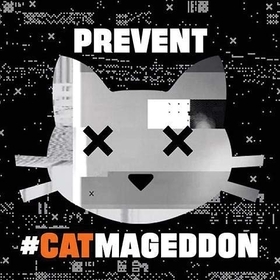 A Twitter campaign has even been launched with the hashtag #catmageddon. The Truth Initiative, funded by the 1998 settlement of a lawsuit filed by 46 states against tobacco companies, targets smoking prevention among young people. Academics say the campaign is different from other anti-smoking ads because it's the first to address the health effects of secondhand smoke on animals. The campaign takes aim at young adults and teens who may consider the health of their pets more seriously than older smokers do. Americans' love of cats is in the numbers: There are 85.8 million pet cats in the U.S. (surpassing the number of pet dogs by 8 million), with 42.9 million households owning at least one cat, according to the 2015-16 American Pet Products Association survey. The campaign is betting a lot of those cat owners are among the estimated 40 million U.S. adults the Centers for Disease Control and Prevention report smoked cigarettes in 2014. And saving cats to star in YouTube videos isn't just about their health. Watching them makes us feel better, according to a study conducted last year by an Indiana University researcher. Participants in the study said they felt more energetic and positive after watching cat videos, and felt less anxiety, annoyance or sadness. “Even if they are watching cat videos on YouTube to procrastinate or while they should be working, the emotional payoff may actually help people take on tough tasks afterward,” assistant professor Jessica Gall Myrick said. Now that's a healthy cattitude.